CFI - Drinking Skeptically DC | Meetup and http://www.centerforinquiry.net/dc . Please consider joining CFI (but if you just want to drink with us then that’s fine too). Drinking Skeptically DC usually meets on the SECOND TUESDAY of each month at Mackeys Public House, 1306 G Street NW, Washington DC, which is half a block from Metro Center, 13th Street exit, and near the 30, 32, 36, 42, 52, 54, 63, 64, 80, D6, G8, P6, S2, S4, X2, and Circulator Yellow and Blue bus lines. There is a separate Drinking Skeptically DC Meetup group, and Drinking Skeptically DC events are listed under both Meetup groups, so this page may not show all responses. The CAFE INQUIRY discussion group also meets at the Shaw Library on the LAST Tuesday of each month. Our friends at the American Humanist Association (AHA) also have DC social events on the 1st and 3d Wednesdays of each month, so there is usually at least one place to visit in DC every week. 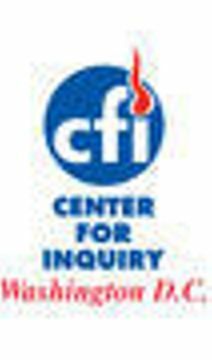 Also look for other events in the DC area that are sponsored by CFI, AHA, Washington Area Secular Humanists (WASH), and others. CFI encourages people with disabilities to participate in its programs and activities. If you anticipate needing accommodations or have questions about physical access please post a comment and the event leader will email you. Don't drink? Don't let that stop you from joining us! Some of the world's most famous skeptics are teetotalers, and we are happy to have you! The venue has no age restriction for the duration of our event. Drinking skeptically means drinking responsibly. Science and personal experience teach us about the effects of alcohol on the human body. This is especially relevant if you will be driving back home, so public transport is encouraged. We get separate checks but the restaurant may add a fixed gratuity charge for groups. Please assume about 30% in tax and tips above menu prices for your food and drink. You may pay by cash or credit card but you may need a credit card in order to run a tab. The kitchen at Mackey’s has closed (maybe permanently), but they will order from the chicken place next door; so the menu is pretty much limited to chicken, chicken, deviled eggs, or a tofu salad. There is still plenty of beer.